Brendan O’Flaherty is a junior at Belen Jesuit Preparatory School, and has volunteered at Nicklaus Children’s Hospital since ninth grade. He began volunteering as a greeter, welcoming guests into the hospital and guiding them to their destinations, and was later promoted to the playroom, where he played games with the children and helped them with whatever they asked for. Now in his third year, Brendan has been given more responsibility and been assigned to the Michael Fux Family Center, engaging with older patients, and helping with daily hospital needs within the center. Brendan became President of Gifts4Kids in the fall of 2018, taking over from his brother, Luke, who founded Gifts4Kids in 2016. Brendan has grown Gifts4Kids to an all-volunteer staff of 5 people, and has made a goal of growing the foundation’s monetary donations by over 300% in 2019, which will provide a stock of toys for the children of Nicklaus Children’s Hospital through the entire year. Nick Alvarez is committed to making a difference in the lives of children who’ve been hospitalized. He is dedicated to bringing joy and comfort through the delivery of toys that make their hospital stay more pleasant. After learning about Gifts4Kids, and its goal, he immediately wanted to help. “Working with kids is one of the most rewarding experiences I’ve had in the last few years because it allows me to contribute in some small way to those who’re in a tough place”, says Alvarez. 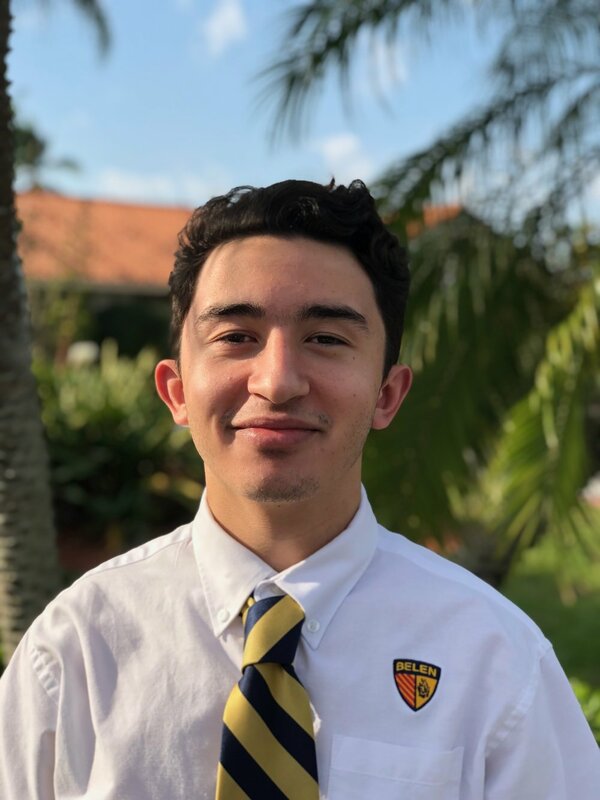 Marcos Blanco is a student at Belen Jesuit who is very involved in helping people in the community. As a peer minister and a member fo the Christian Life Community, he jumps at any opportunity he can find to help people. When he heard that Gifts4Kids needed some volunteers, he was instantly on board and ready to get involved. Christopher Rodriguez is involved in many activities, most notably, Peer Ministry and Varsity Crew. He has led many retreats for the student body. As a coxswain for the varsity crew team, Christopher is a natural leader and will be encouraging all the volunteers to reach their goals. Christopher also enjoys spending time with his family and friends. Mark Waldman is passionate to the cause of giving joy to children. He believes in Gifts4Kids and what it brings to the children of Nicklaus Children’s Hospital. Mark believes service is an important part of being a Christian, which is why he is in Christian Life Community and takes part in other opportunities to serve his community. Mark believes that you can “Earn your success based on service to others, not at the expense of others.” - H. Jackson Brown, Jr.
Are you interested in volunteering at Nicklaus Children’s Hospital? Click here to find out how you can make a difference. Or you can always click here to make a donation now. Gifts4Kids, Inc. is federally recognized under Internal Revenue Code Section 501(c)(3) as a tax-exempt publicly supported charity, and organized under the state of Florida as a non-profit corporation. Copyright © 2016-2019 Gifts4Kids, Inc. All rights reserved.